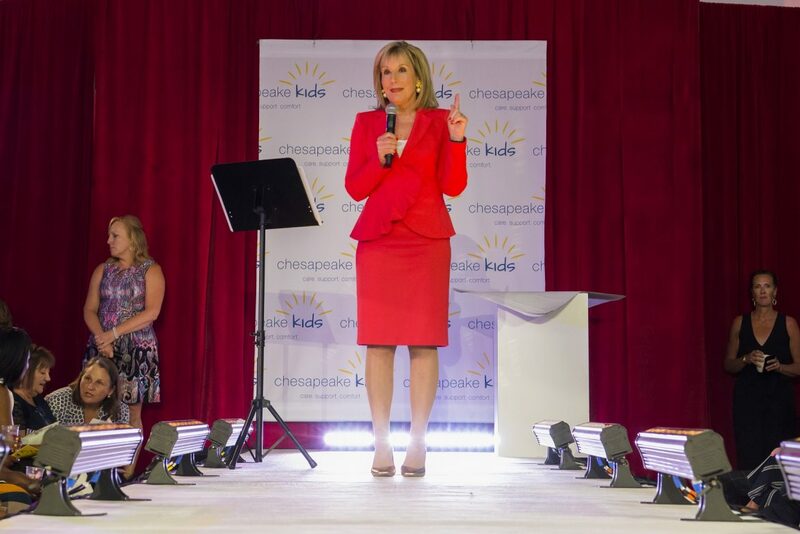 A high-spirited crowd of about 300 people had a lot of fun and raised a lot of money during the 10th annual Fashion for a Cause, smashing the events fundraising record by bringing in more than $135,000 for Chesapeake Kids. Held June 7 at Porsche of Annapolis, the annual event raises funds and awareness for the Hospice of the Chesapeake program which supports children living with and affected by advanced illness and loss. The looks modeled by 12 community members and eight professional models included summer fashions and accessories provided by Annapolis clothing retailers Anthropologie, Helly Hansen, Jos. A. Bank, Mister The Pink Crab, Scout & Molly’s, South Moon Under and Under Armour, with hair and make-up by Up Do’s for I Do’s. Guests enjoyed food and beverages provided by Blue Crab, Buck Distributing, Carpaccio Tuscan Kitchen, Vida Taco Bar by The Fox Brothers and The Westin’s Azure. The event was generously supported by community businesses and leaders including by presenting sponsors The Wilburn Company and Porsche of Annapolis, Fashionista sponsors The Appliance Source, Mairead M. O’Reilly, DDS, MS, Orthodontics, M&T Bank and Bill and Laura Westervelt and dozens more. For more photos from the event, visit the nonprofit’s Facebook page at http://bit.ly/2JVJoFr and http://bit.ly/2MEyohB. 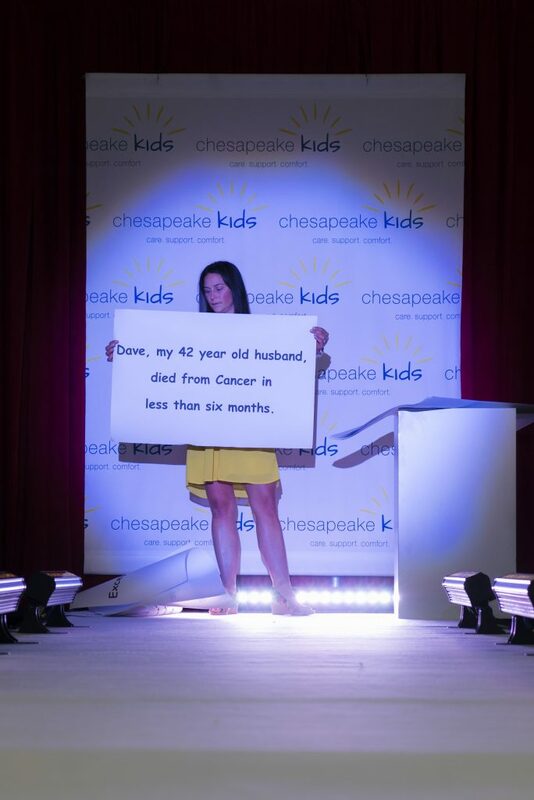 April Boera, a widow with three young children, shares her family’s story about the loss of her husband and how Chesapeake Kids programs have helped them through the journey of their loss. 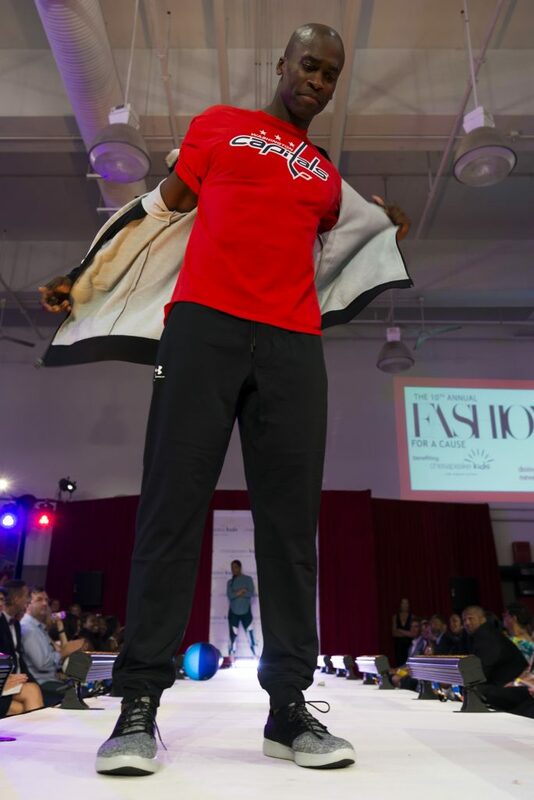 Community model Jarret Simpson, a personal trainer from Evolutions, gets the loudest cheer from the crowd as he reveals a Capitals T-shirt. Later that evening, the Capitals would take home the Stanley Cup. 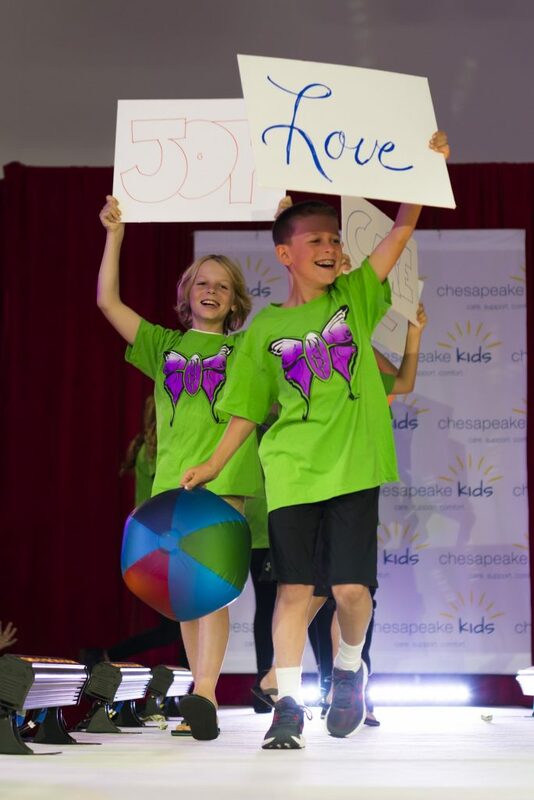 Joey Patanella and Griffin Horst represent the children helped by Chesapeake Kids by walking the runway wearing Camp Nabi children’s bereavement camp T-Shirts.